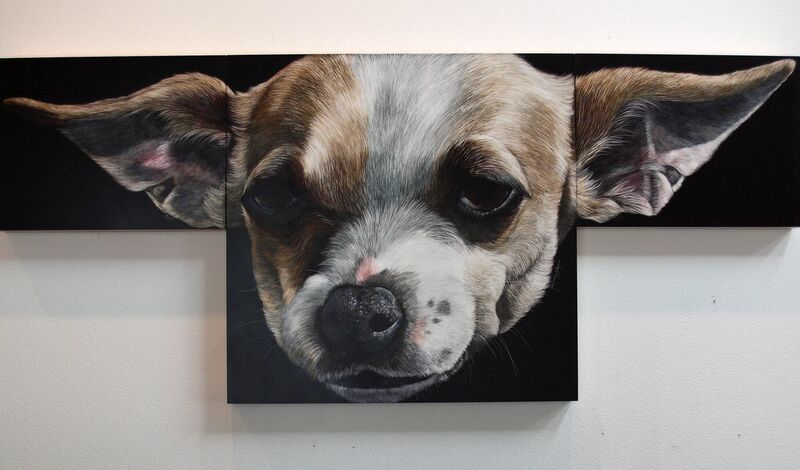 This is just the beginning of my "Big Dog" series of larger than life portraits of dog faces. The ears are detachable and each of the parts are actually boxes with scratchboard on the one surface. Very unusual. It made it into the Society of Animal Artists' Annual Show and is currently touring the nation going from one museum to another. Always thinking on the box, not outside of it!